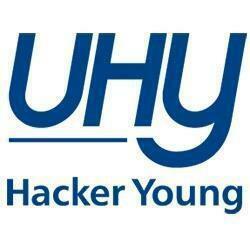 UHY Hacker Young Manchester is part of the UHY Hacker Young Group, a Top 15 national accountancy firm, ranked 16th internationally. In addition to our broad range of partner led audit, accounting and business advisory services, we specialise in advising clients on utilising cloud accounting software to optimise business processes through integration. Our dedicated cloud accounting team will work with you to tailor a package to suit your needs, allowing for increased collaboration and access to real-time information – all at a cost-effective price. I specialise in Xero Conversions and training clients, as well as being positive and spreading the Xero love! I really enjoy training our clients and strengthening our client relationships. A Payroll Manager with a love for all things payroll. Xero payroll is fantastic! Love running payroll and supporting clients to do the same as part of the UHY Manchester cloud team. Clients of UHY Hacker Young - Manchester connect to a range of banks via Xero. UHY Hacker Young - Manchester specialises in working with some of those banks; they can help with setting up bank feeds, and are knowledgeable about accessing bank loans and streamlining payments through Xero. UHY Hacker Young - Manchester works with businesses across a range of industries. They specialise in helping to choose apps that integrate with Xero to boost business performance for some of those industries. UHY Hacker Young - Manchester serves clients who use 10 different apps that connect and integrate with Xero. Xero is beautiful online accounting software for smaller businesses. UHY Hacker Young - Manchester can help make your switch as smooth as possible.